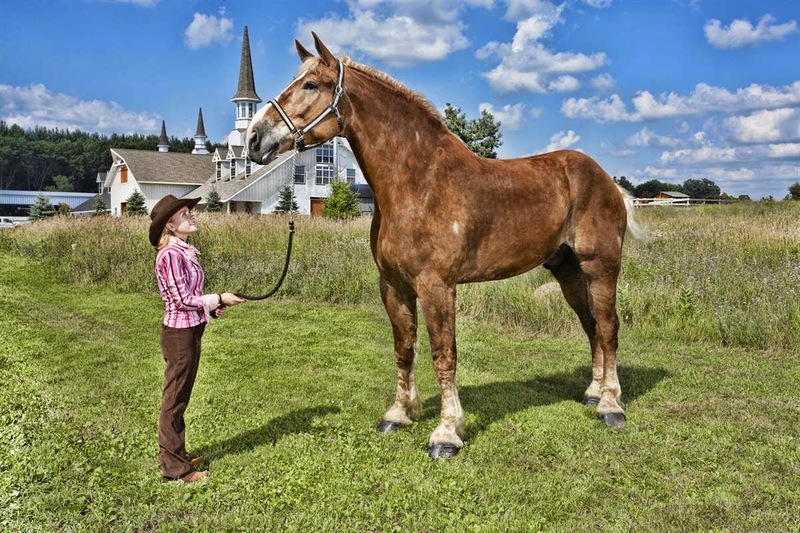 Big Jake, a nine-year-old Belgian Gelding horse, has been recognized as 'The Tallest Living Horse' by Guinness World Records. Big Jake measured in at 20 hands 2.75 inches without shoes. The two and three-quarter inches made him eligible for the world’s record. He weighs in at 2,600 pounds. He's taller than the previous record-holder, a Clydesdale from Texas named Remington, who's 20 hands tall. The Belgian horse weighed 240 pounds at birth. This is about 50 pounds above the average for his breed. Born in Nebraska, Big Jake came to Smokey Hollow Farm in Poynette, Wisconsin as soon as he was weaned from his mother. In time, it was decided that due to Big Jake’s unusual size, Smokey Hollow Farm wanted to explore the possibility of Big Jake holding the world’s record.